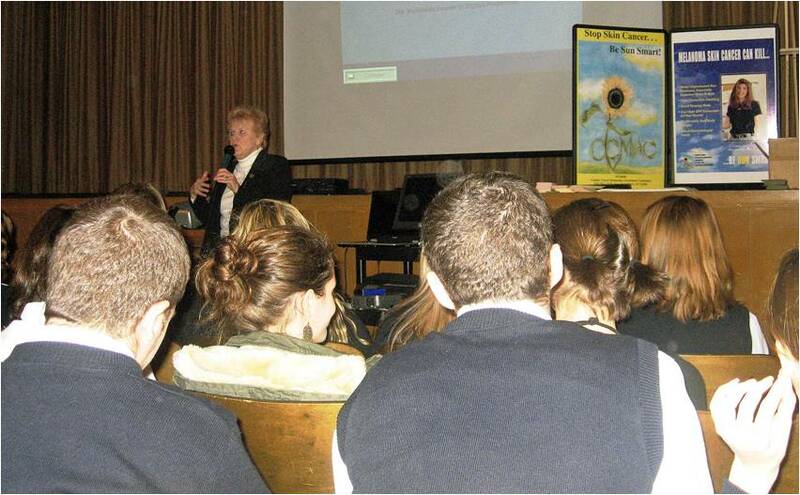 On March 7th, 2008 five hundred (500) students at Bishop McGann-Mercy Diocesan High School attended a Be SUn Smart Seminar. Billy Snak’s personal story of fighting melanoma and it’s re-occurrence over the past months greatly impacted students, many of whom took posters for display in their own community. In addition students donated funds from their “dress down day” in support of CCMAC furthering the “Be Sun Smart” message.